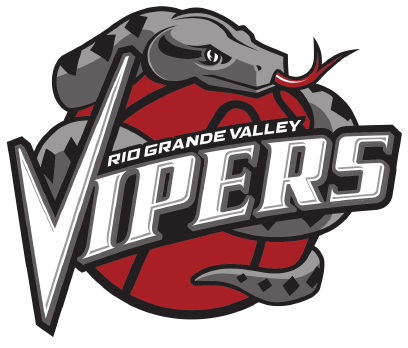 The RGV Vipers trailed by as many as 16 points in the second quarter before rebounding to defeat the Central Division-leading Fort Wayne Mad Ants 119-116 on Tuesday at State Farm Arena in Hidalgo. The Vipers (25-18) remain two games back of the Austin Spurs (27-16) for the Southwest Division lead with seven games remaining in the regular season. RGV is also still in position to claim one of three wild-card playoff spots from the Western Conference. If the season were to end today, the Vipers would advance to the postseason along with the Reno Bighorns (24-17) and Texas Legends (24-18). The Oklahoma City Blue (23-20) is also pushing to claim one of those spots. Houston Rockets two-way player R.J. Hunter led the Vipers with 27 points, four rebounds and four assists, while Julien Lewis scored 24 points with five rebounds, four assists and four steals. Rockets assignment player Chinanu Onuaku scored 17 points with seven rebounds and four assists, and Tony Wroten posted 14 points and nine assists. Zhou Qi had 11 points with six rebounds, and Isaiah Hartenstein had 11 points with seven rebounds in 15 minutes. DeQuan Jones posted 37 points and 11 rebounds to lead the Mad Ants (25-16). Fort Wayne looked to be in control of the game early, building a 15-point lead to finish the first quarter. The Vipers used a 10-2 run to close the gap midway through the second quarter, then a late 6-0 burst to help pull within 55-52 at halftime. A 10-0 run early in the second half gave RGV a 62-58 lead, and the Vipers held a 91-86 edge going into the final period. RGV led by as many as 13 points in the final three minutes before Fort Wayne started a rally. An 8-0 spurt pulled the Mad Ants within 115-110 with 35.7 seconds to play. After a pair of free throws by Jones, Fort Wayne gained possession trailing just 118-115 with 16.9 seconds remaining when Hunter fell out of play after catching an inbounds pass. Fort Wayne’s Jamil Wilson missed a 3-pointer with 7.4 seconds on the clock, and Tra-Deon Hollins missed another with 2.7 seconds remaining to seal the game. RGV returns to action at 9 p.m. Thursday, traveling to take on the Agua Caliente Clippers.